TOBREX® (tobramycin 0.3 %) is a sterile topical ophthalmic antibiotic formulation prepared specifically for topical therapy of external infections. This product is supplied in solution and ointment forms. Inactives BenzalKonium Chloride 0.0″1″% as a preservative. Tobramycin 0.3% (3 mg/g), Mineral Oil, Petrolatum Base, and Chlorobutanol 0.5 % as a preservatlvs. Tobramycin is a water-soluble aminoglycoside antibiotic active against a wide variety of gram-negative and gram-positive ophthalmic pathogens. Streptococci, including some of the Group A-betahemolytic species, some non-hemolytic species, and some Streptococcus pneumoniae. Pseudomonas aeruginosa, Escherichia coli, Klebsiella pneumoniae, Enterobacter aerogenes, Proteus mirabilis (indole-negative) and indole-positive Proteus species, Haemophilus influenzae and H. aegyptius, Moraxella lacunata, and Acine,tobacter calcoaceticus (Herellea vaginacola) and some Neisseria species. Bacterial susceptibility studies demonstrate that in some cases,microorganisms resistant to gentamicin retain susceptibility to tobramycin. A significant bacterial population resistant to tobrarnycin has not yet emerged; however, bacterial resistance may develop upon prolonged use. TOBREX is a topical antibiotic indicated in the treatment of external infections of the eye and its adnexa caused by susceptible bacteria. Appropriate monitaing of bacterial response to topical antibiotic therapy should accompany the use of TOBREX. 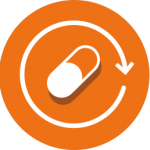 Clinical studies have shown tobramycin to be safe and effective for use in children. NOT FOR INJECTION INTO THE EYE. Sensitivity to topically applied aminoglycosides may occur in some patients. If a sensitivity reaction to TOBREX occurs, discontinue use. As with other antibiotic preparations, prolonged use may result in overgrowth of nonsusceptible organisms, including fungi. If superinfection occurs, appropriate therapy should be initiated. Ophthalmic ointments may retard corneal wound healing. mal studies are not always predictive of human response, this drug should be used during pregnancy only if clearly needed. Because of the potential for adverse reactions in nursing infants from TOBREX®, a decision should be made whether to discontinue nursing the infant or discontinue the drug, taking into account the importance of the drug to the mother. occur in less than three of 100 patients treated with TOBREX. Similar reactions may occur with the topical • use of other aminoglycoside antibiotics. Other adverse reactions have not been reported from TOBREX therapy; however, if topical ocular tobramycin is administered concomitantly with systemic aminoglycoside antibiotics, care should be taken to monitor the total serum concentration. In clinical trials, TOBREX Ophthalmic ointment produced significantly fewer adverse reactions (3.7%) than did Garamycin Ophthalmic Ointment (10.6 %). Clinically apparent signs and symptoms of an overdose of TOBREX Ophthalmic Solution or ointment (punc- tate keratitis, erythema, increased lacrimation, edema and lid itching) may be similar to adverse reaction effects seen in some patients. Solution:In mild to moderate disease, instill one or two drops into the affected eye(s) every four hours. In severe infections, instill two drops into the eye(s) hourly until improvement, following which treatment should be reduced prior to discontinuation. Ointment:In mild to moderate disease, apply a 1.5 centimeter ribbon into the affected eye(s) two or three times per day. In severe infections, instill a 1.5 centimeter ribbon into the affected eye(s) every three to four hours until improvement, following which treatment should be reduced prior to discontinuation. 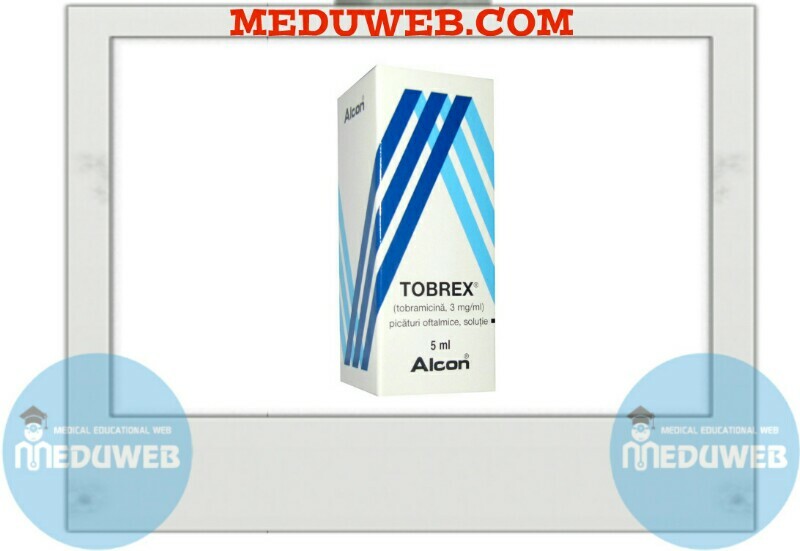 TOBREX ointment may be used in conjunction with TOBREX solution. Sterile ointment in 3.5 g ophthalmic tube containing tobramycin 0.3% (3 mg/g). Store at 8°_ 30°C. Keep container tightly closed.